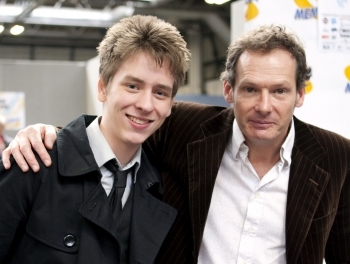 I met the famous child actor Mark Lester when he came to the Birmingham NEC for the Memorabilia event in March 2010. I had a chat to him about acting, and he signed a photo from Oliver! 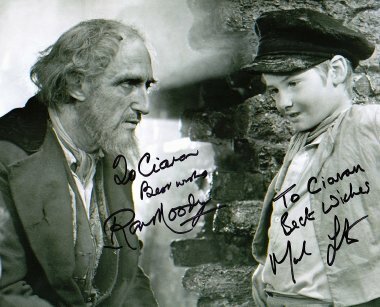 for me which Ron Moody had also signed. Mark Lester was born Mark Letzer in Oxford in 1958 of Jewish descent. His father, Michael Letzer, and his mother Rita Keene, were both actors. Mark was educated at Halliford School in Shepperton, and also attended the Corona Academy stage school in Hammersmith. 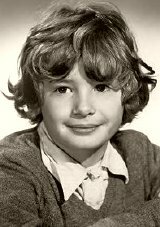 Mark Lester made his film debut at the age of six as Gerald in the French comedy Allez France! (1964). Also known as The Counterfeit Constable, it also featured the comedy actors Bernard Cribbins and Arthur Mullard. 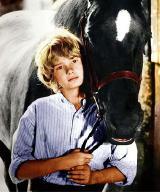 Mark Lester as Gerald in Allez France! received for this role that landed him the part that was to overshadow everything else! 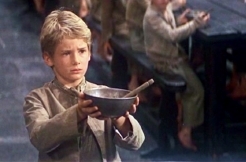 Mark Lester as Oliver Twist in the film version of Oliver! couldn't sing, so all of his songs in Oliver! were dubbed by Kathe Green, daughter of the film's music arranger Johnny Green. This multiple Academy Award-winning adaptation of Charles Dickens’ novel co-starred Ron Moody, Shani Wallis, Oliver Reed & Jack Wild, with whom Lester became a close friend. Mark Lester & Jack Wild in Oliver! hunting him. With the help of his grandfather (Lionel Jeffries) and his older sister Pippa (Susan George), he has to escape many attempts on his life. the film was made. It also starred Tracy Hyde as Melody, and is fondly remembered by many who saw it as children. It features music from the Bee Gees and Crosby, Stills, Nash & Young. 1971 proved to be a busy year for Mark Lester. After Melody, there followed the horror thriller Whoever Slew Auntie Roo? with Shelley Winters as the demented widow Mrs Forrest, who lures children to her mansion where she keeps the mummified remains of her daughter! Ron Moody & Mark Lester in Oliver! Beauty which was filmed mostly in Ireland. Mark Lester apparently only worked for three weeks on this film, despite having the lead role. Ekland). Marcus, who may have murdered his mother, has been expelled from school and begins to exert evil influences over his new stepmother. Both Ekland and Lester reveal all in this sexually explicit film which the British Board of Film Censors was forced to withdraw from public showing because of its content. appeared as Lennox Duncan in the crime drama Redneck (1972) with Telly Savalas, and Jamie in the western Scalawag (1973) with Kirk Douglas (who also directed). Lester also had a part in the costume drama La Prima volta sull’erba (Love Under the Elms) (1974). other famous names from the cast, but nevertheless the film was very poorly received, and Lester gave up acting. wife Jane, with whom he had four children - Lucy, Harriet, Olivia & Felix. The marriage lasted twelve years, after which Lester married his second wife Lisa, a psychiatric nurse. For many years, Mark Lester was a close friend of the American rock singer Michael Jackson, and they were godfathers to each other's children. In August 2009, Lester was interviewed by the News of the World newspaper in which he claimed that he could be the biological father of the late singer's daughter, Paris Jackson. Since Jackson's death in June 2009, there have been claims that Lester (who Jackson nicknamed 'Applehead') is now attempting to cash in on the singer's fortune, by claiming he is the father of Jackson's children. This Daily Mirror article (click here)gives a flavour of the controversy as seen from Jane Lester's perspective. his Carlton Clinic which he set up in Carlton Street, Cheltenham, in 1993. MirrorCelebs - Mark is a fantasist!